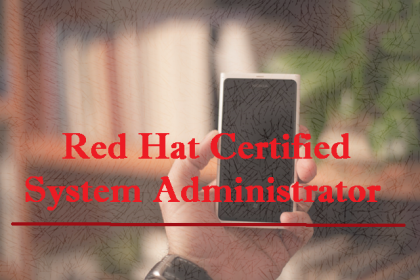 Red Hat System Administration I (RH124) & Red Hat System Administration I (RH134) is designed for IT professionals who are new to Linux and require core Red Hat Enterprise Linux skills. Focusing on administration tasks that will be encountered in the workplace, you will be engaged in task-focused activities, lab-based knowledge checks, and facilitative discussions to ensure maximum skill transfer and retention. You’ll use GUI-based tools to build on your existing technical knowledge, and you’ll learn key command line concepts that provide a foundation for becoming a full-time Linux system administrator. By the end of this course, you will be able to perform installation, establish network connectivity, manage physical storage, and perform basic security administration.